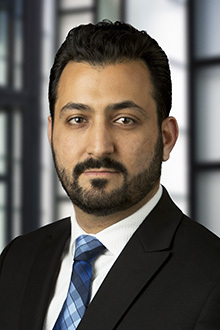 Shahram Nassi is a partner in the San Francisco office of Lewis Brisbois and a member of the Complex Business & Commercial Litigation Practice. Mr. Nassi's practice focuses on complex civil litigation matters in California State and Federal Courts. His primary practice areas include business and commercial disputes, insurance defense and general litigation. Mr. Nassi also has significant experience handling professional liability, Homeowners Association disputes, catastrophic injury, class actions and consumer law matters. Mr. Nassi has substantial civil litigation experience, including first chair and second chair trial experience. He oversees all aspects of cases from initial evaluation to ultimate resolution via settlement or trial. He has successfully negotiated many settlement agreements in mediations, in settlement conferences and informally. He has taken and defended numerous depositions, and drafted and argued various motions, including motions for summary judgment. Mr. Nassi also has significant experience handling cases involving defense of Homeowners’ Associations as well as cases involving California's Lemon Law, the Fair Credit Reporting Act, and Fair Debt Collection Practices Act.